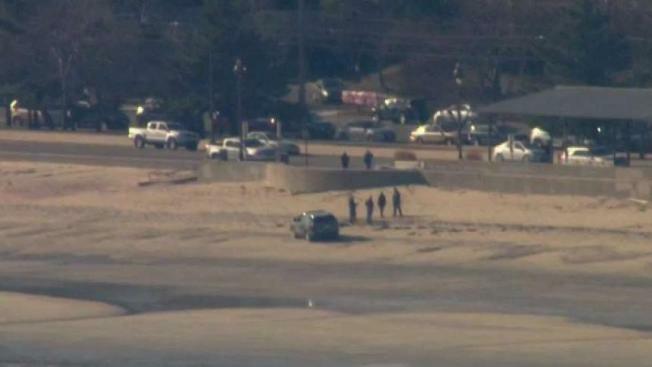 Massachusetts State Police arrived on Revere Beach Friday morning to investigated the possibility of human remains. Massachusetts State Police said they are investigating after partial skeletal remains appearing to be human washed up on Revere Beach on Friday. The incident was reported shortly after 11 a.m. The Suffolk District Attorney's Office said a single bone reportedly washed up near the state police barracks. The passerby who first observed it reported the item as a body, but a search of the area did not yield any further remains. Further examination and investigation is needed to confirm if the remains are human and whether there is any connection to likely human remains found at Rumney Marsh last week. The district attorney's office said at this time there is no apparent link. State police detectives assigned to the district attorney's office are heading up the investigation. Police said they cleared the scene around 12:30 p.m. and said there will be no further updates.